Refresh your skin with CeraVe Foaming Facial Cleanser, a gentle makeup remover suitable for oily and sensitive skin types. The luxurious gel transforms into a weightless foam which sweeps away dirt, excess oil and impurities whilst maintaining the strength of the natural barrier function. A potent blend of three essential ceramides and Hyaluronic Acid works to replenish vital hydration, whilst Niacinamide soothes any irritation. Expect a calm, clear and revitalised complexion. Massage cleanser onto wet skin then rinse. 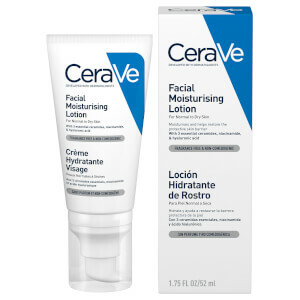 Save 20% on CeraVe 20% - Use Code: 20XSKIN. Discount has been applied to the RRP. Offer valid for a limited time only. Leaves skin clean, doesn't remove waterproof mascara though. Skin feels a bit tight and dry after cleansing so I assume I just should go for the hydrating cleanser next time. Definitely the best cleanser I've ever used. It smells amazing and feels amazing on the skin. The foaming is so nice, it feels so wonderful to use. It's so gentle and makes my face feel so incredibly clean. Before purchasing my skin was very oily and I never had a day without spots. I haven't had a single spot since I first used this. Will continue to buy, definitely lived up to expectations. I’ve been using this in combination with other products and my skin has never been in as good condition, it cleans really well but the foam is rich and doesn’t feel drying at all! And the bottle is easy with the pump and only half a pump is needed due to how great it foams, so good! Love it! 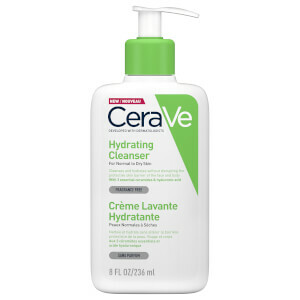 I suffer with bad cystic acne and for years have not been able to find a product that helps.. until I used this cleanser. It never dried my skin out at any point but some how managed to shrink my acne, will never use any other cleanser but this one now. 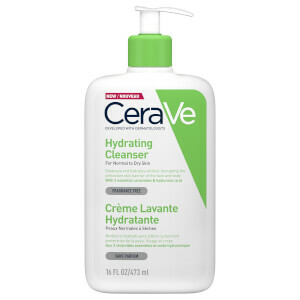 I was already a fan of the CeraVe Hydrating Cleanser, but I prefer a gel like product. i have combination sentive skin, so this is perfect for me. My oily parts are well cleansed and my dry parts are sotf and there is no pulling and drying sensation. I have to say that I don't use it for removing makeup, I use it after as a second cleanse.